Irritable Bowel Syndrome is the most common gastrointestinal disorder in the world. People with IBS are prescribed more medications, miss more work days, have lower work productivity and higher suicide rates than people without it. Yet the causes are still unknown, and there is no cure. Or rather - there was no cure, until now. Cutting-edge scientific research has found that IBS is nearly always connected to anxiety and depression through something called the gut-brain axis. Heal the gut and you can heal the brain - and vice versa. Enter The Kefir Solution. 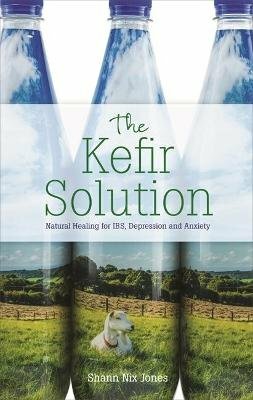 Developed by Shann Nix Jones, it uses kefir, a powerful natural probiotic to support your microbiome and help heal IBS without the use of chemicals. It has no nasty side effects but loads of health benefits - including alleviating the anxiety and depression that often go hand in hand with IBS. Combining common sense with uncommon science, Shann shares stories, tips and recipes to help you on your way to better gut health and a happier life. If you suffer from IBS, or know someone who does, and it's taken hold of your life, this book could lead you back to health and freedom.